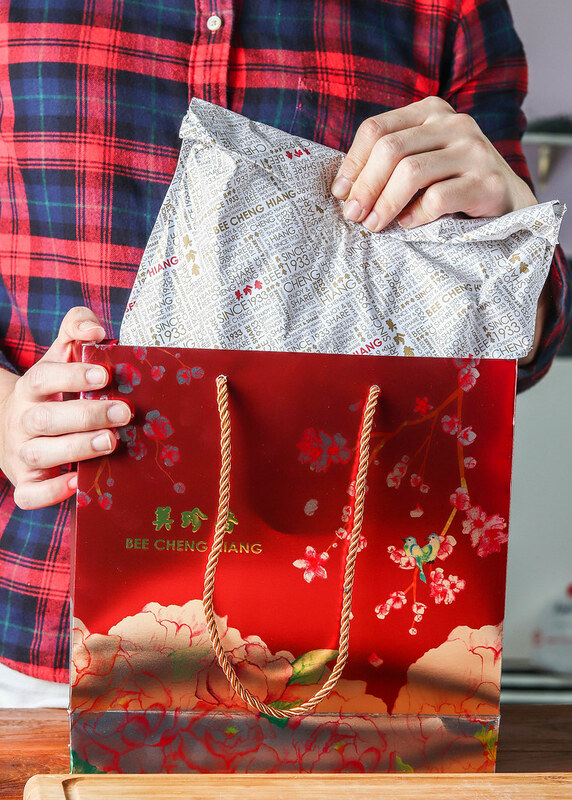 Chinese New Year is just around the corner, and all of us are getting busy with spring cleaning, getting new clothing and buying new year snacks. Some families even make their own new year snacks — inviting family members over to help with the rolling of dough and baking of tarts. What a great way to bond as a family! 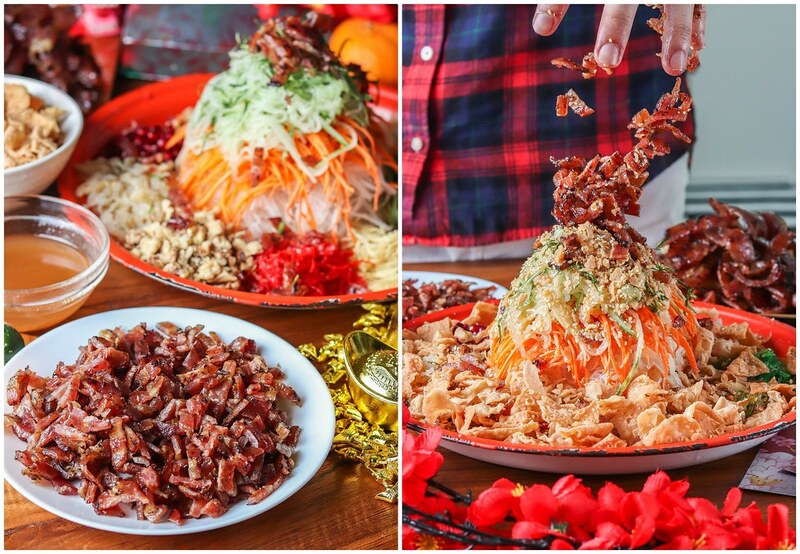 Lo hei is a quintessential Chinese New Year dish. 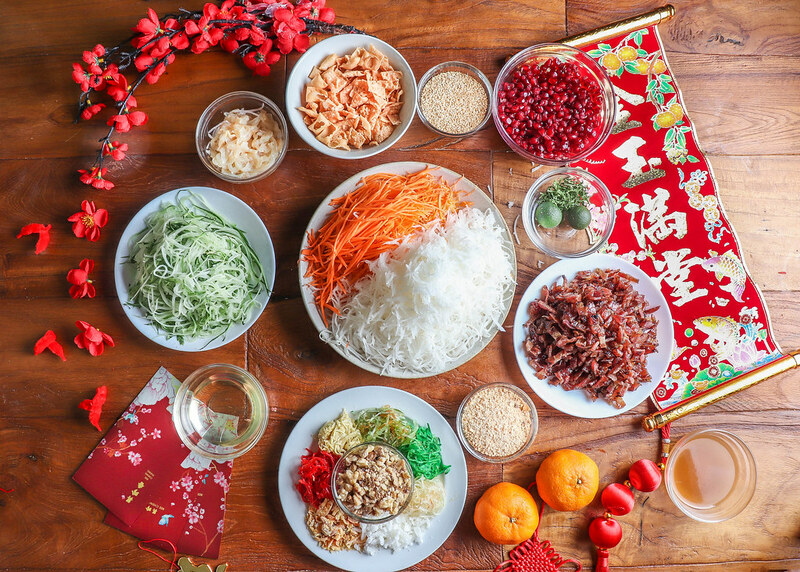 Family members gathering around a table, tossing a platter of vegetables and ingredients while saying felicitous phrases is a norm, and a must, every Lunar New Year. Even friends and colleagues partake in this yearly tossing of yusheng! 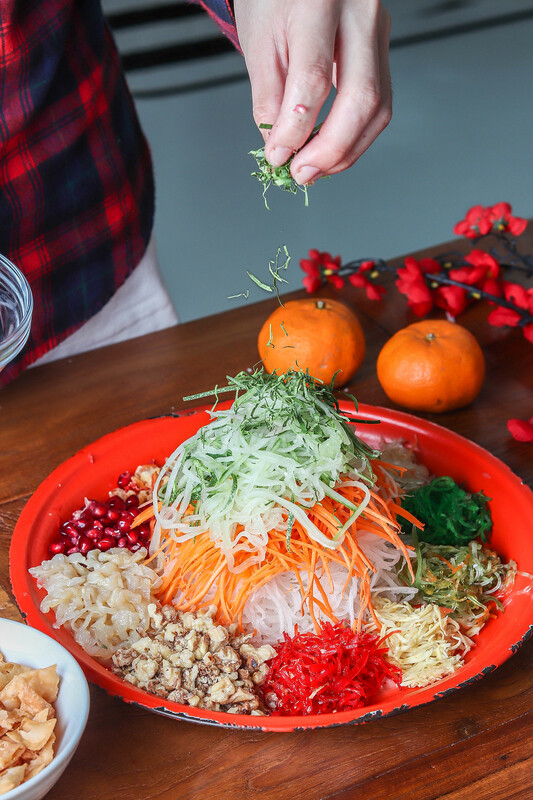 With recent reports stating the health risks of eating too much raw fish, many of us might be fearful to indulge in lo hei because of inclusion of the raw fish. But why should we do away with tradition just because of that? Bee Cheng Hiang is introducing its Gourmet Bakkwa ($50.40/600g, $84/kg) as an alternative to the raw fish found in lo hei. The barbecued pork jerky is hand-crafted and then smoked over charcoal. The bakkwa is made from the pork belly, which has a good balance of lean meat and fat. Bee Cheng Hiang is founded in 1933 by Mr Teo Swee Ee, who peddled the streets of Chinatown selling fresh barbecued meat. 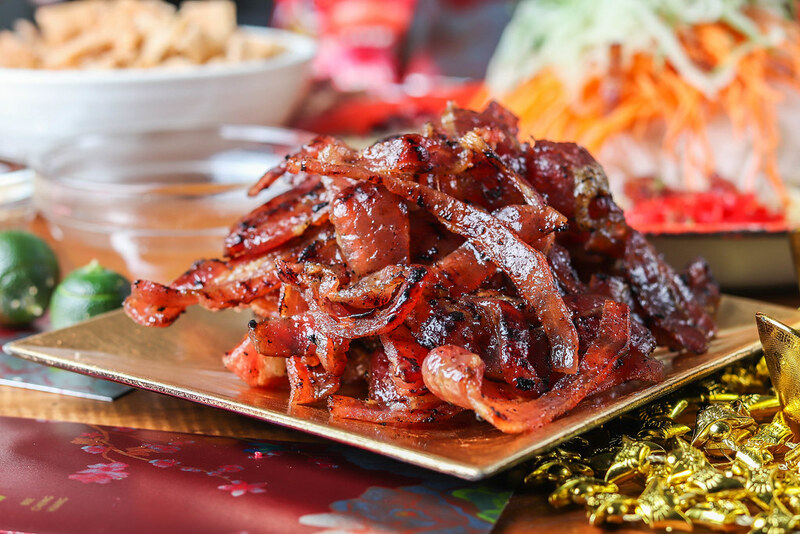 Because of the top quality, and delicious taste of these pork slices, business grew and soon, Bee Cheng Hiang opened its first brick and mortar outlet in 1945. Bee Cheng Hiang is now an internationally acclaimed brand, with over 370 outlets in 13 territories around the world. Redhill Porridge - Totally Worth Waking Up Early for! 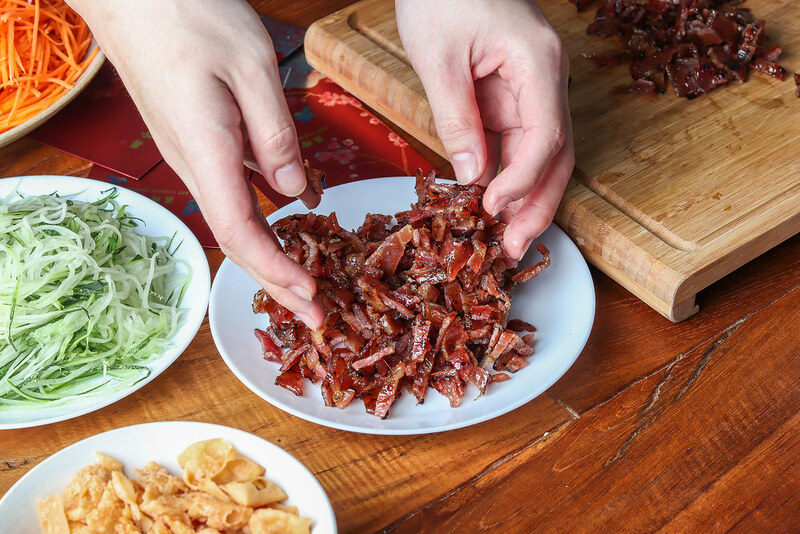 Bee Cheng Hiang takes pride in using 100% natural ingredients for their bakkwa, so there’s no meat tenderiser, preservatives, artificial colouring or flavouring added. Enjoy good quality, tasty jerkies made from a time-tested recipe. 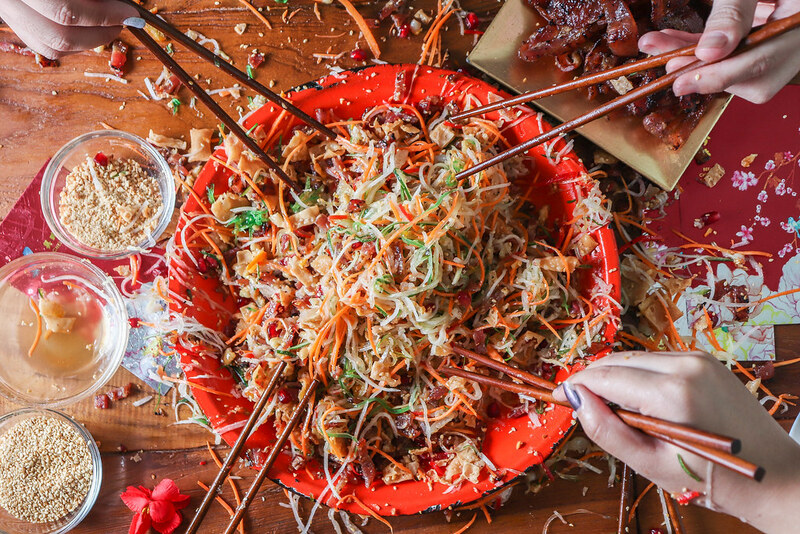 We really enjoyed the addition of bakkwa to our lo hei, which gives a sweet and smoky taste to the refreshing lo hei. The flavours of the bakkwa surprisingly complements the slight tartness of the sour plum sauce, so there isn’t any worry about the lo hei being overly sweet. In addition, the bakkwa is already tasty on its own that it makes for an addictive snack! 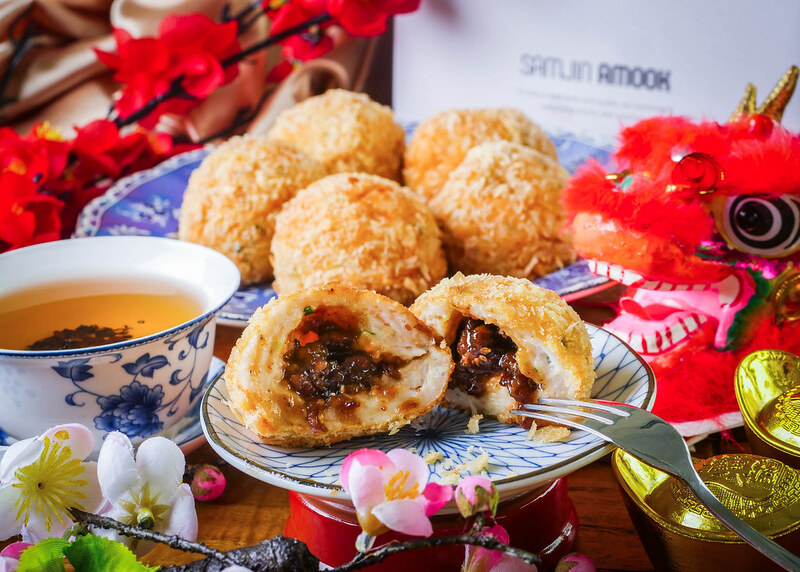 Another great snack that will amaze your guests this Chinese New Year is the Bakkwa Amook, which is fishcake filled with bits of bakkwa. Think of a char siew bao, but replace the flour bun with a spongy and chewy fishcake. This nifty little creation is created by Bee Cheng Hiang and Samjin Amook, a famous fishcake chain in Korea. The sweetness and savouriness of the bakkwa goes really well with the fishcake! We’re sure that everyone will get hooked! Diners are encouraged to say the following auspicious phrase when preparing to toss their lo hei with bakkwas. 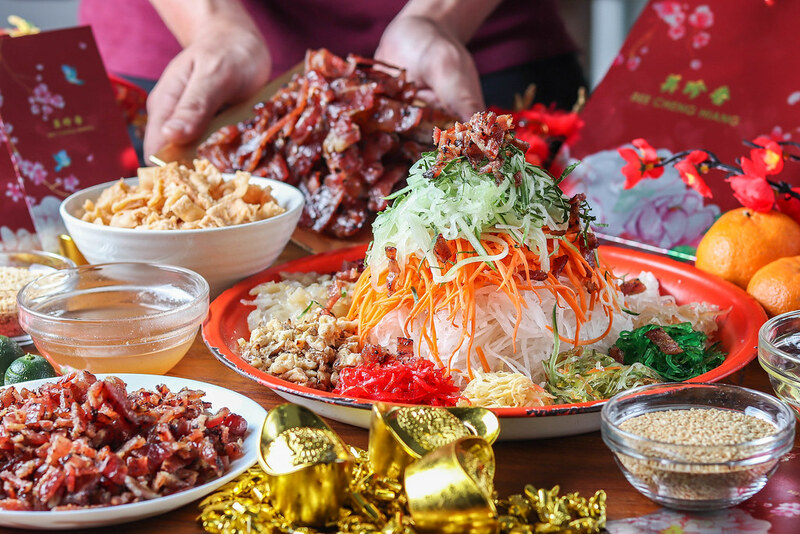 We really enjoyed the addition of bakkwa to our lo hei, which gives a sweet and smoky taste to the refreshing lo hei. 1. 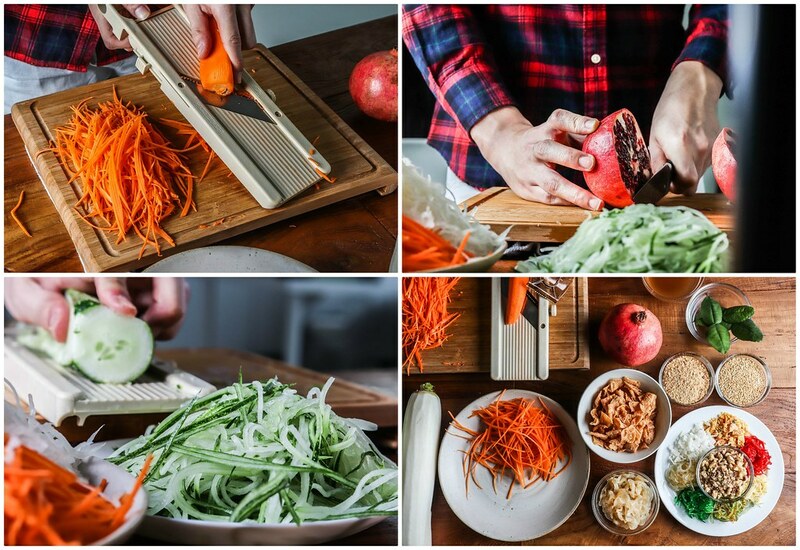 In a large dish, pile up the shredded radish, carrots and cucumbers. 2. Place all the accompaniments except the kaffir lime leaves around the mountain of vegetables. 3. Sprinkle the kaffir lime leaves on top of the vegetable mountain. 4. Squeeze in the juice from the limes. 5. Toss in the sesame seeds and peanuts. 6. Pour in the sour plum sauce and oil. 7. Throw in the pok chui crackers, followed by Bee Cheng Hiang Gourmet Bakkwa. 8. Toss to greater heights and a prosperous year ahead! 加上美珍香经典肉干， 祝大家金玉满堂，财源广进，口袋满满! Here’s wishing everyone a prosper Chinese New Year, and a great year ahead! This post was brought to you by Bee Cheng Hiang. An avid fan of the local food scene in Singapore, Justyn loves to recreate hearty hawker meals during his free time at home. Jewel Changi Airport Food Guide – What To Eat At Singapore’s Newest Destination? Shilin Night Market Concept (士林夜市) Is Coming to Singapore, For The First Time! Bendemeer Market & Food Centre – 14 Stalls You Must Try! Da Dong Prawn Noodles – Prawn Noodles that will have You Coming Back for More! Peach Garden @ Thomson Plaza – Weekend Dim Sum Buffet is Back, it’s so Incredibly Affordable!